Blackfriars Settlement has been helping the community for over 130 years. It was originally established as the Women's University Settlement in 1887. 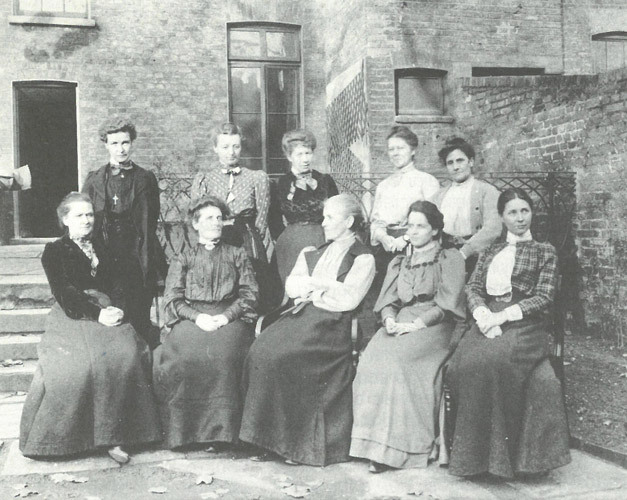 The Women's University Settlement (the 'Settlement') was founded by women from Girton and Newnham Colleges at Cambridge University, Lady Margaret and Somerville Colleges at Oxford University and Bedford and Royal Holloway Universities. Among them, Helen Gladstone the daughter of he Prime Minister and Octavia Hill, housing reformer and founder of the National Trust. Settlement workers with the Warden, Helen Gladstone, c. 1904. 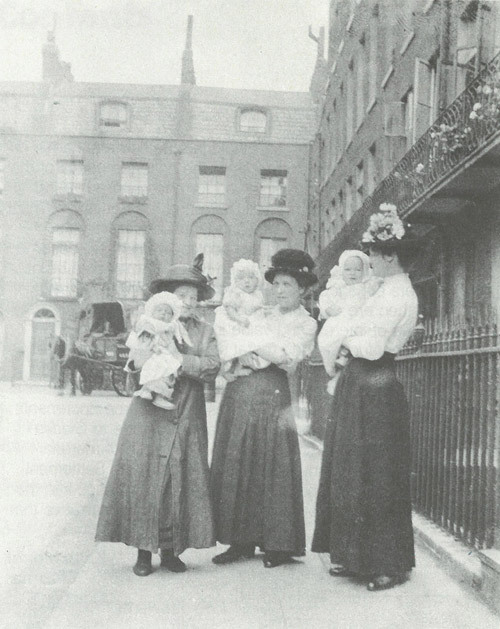 Its objective was to "promote the welfare of the poorer districts of London, more especially of the women and children, by devising and advancing schemes which tend to elevate them, and by giving them additional opportunities in education and recreation". There was a marked change in the Settlement's focus in 1950 towards becoming a centre with more involvement from local residents. New areas of work included ex-offenders, children with learning difficulties and a workshop for older people. The Settlement changed its name in 1961 to Blackfriars Settlement as both an acknowledgement of men's involvement and as an attempt to include the local community in its work. In 1992 Blackfriars Settlement moved into the Rushworth Street building, into purpose built accommodation that served the local people rather better than a dilapidated Georgian Town House). Youth and play moved some years later to Living Space, on Waterloo Road nearly opposite the Old Vic. By 2005 the building on Rushworth Street was becoming dated and stories abound of buckets catching water from the flat roof and the need to clear the snow from the yard before the days work could begin. So the Settlement moved once again in to rented accommodation on Gt Suffolk Street while the redevelopment of The Settlement took place. Some mourn the passing of the flowering trees on the corner of the plot but few complain about the state of the art Community Centre we now call Blackfriars Settlement. Nelson Square is no longer part of the Settlement, however the spirit of the founding women and all the generations of Blackfriars staff, volunteers and members lives on in the work we do today.